Squad Up: Noah Simblist (seated on stairs) has gathered an impressive arts faculty that includes (from left) Clyde Valentín, Lauren Woods, Arthur Peña, Carol Zou, Sofia Bastidas, and Michael Morris. How the school got itself out of the studio and into the streets of Dallas. While suffering through one particularly sweltering week last summer, I received an email from the artist Rick Lowe inviting me to meet him at a storefront in Vickery Meadow. It was a strange time to be in Vickery Meadow. Just a few days before, a man living in a nearby apartment complex became the first person in America to bring the Ebola virus back from Africa. As I arrived, news trucks were set up in a parking lot across from the storefront, and a helicopter hovered overhead. Lowe is one of the foremost practitioners of what is known as socially engaged art, and in 2013 he started a community-based art project in Vickery Meadow as part of Nasher Xchange, the Nasher Sculpture Center’s citywide public art initiative. Lowe was still in town teaching a class at SMU, and he had invited me to the storefront that serves as the headquarters for his project to introduce me to Tania Bruguera, another artist whose work sometimes blurs the line between art and activism. Bruguera was also in town because of SMU, having received the university’s Meadows Prize in 2013. We didn’t know it at the time, but just a few weeks after meeting up during the height of the Ebola scare, Bruguera would herself be swept up into the international headlines after she was arrested and imprisoned in Cuba for one of her public performances. But on this day, the artists were simply trying to organize a performance art piece in Dallas. After about 10 minutes, a group of students took up nervous positions in a half-circle of folding chairs. They were herded by Noah Simblist, the chair of the art department at SMU and an artist, writer, and curator in his own right whose work is deeply engaged in social issues. Bruguera explained her plan. She was collecting signatures for a petition drive. She hoped to eventually deliver the signatures with a letter to Pope Francis, urging the pontiff to grant all of the world’s migrants Vatican citizenship, thus removing them from legal limbo. It was a pipe dream, of course. That was pretty much the point of the art piece. Nonetheless, Bruguera met a wary audience. The art students weren’t exactly jumping out of their chairs to spend a hot afternoon milling about a Fiesta grocery store parking lot angling for John Hancocks. In spite of their reluctance, however, a broader point seemed to sink in: here were two of the world’s most well-known contemporary artists, and they were meeting them in a dingy strip center in a neighborhood that felt like a war zone, proposing a project that looked and sounded nothing like what goes on in the art studios back on the SMU campus. In addition to the political-religious satire Bruguera was scheming, the class learned an important lesson in just how difficult it can be to define what art actually is. In years past at SMU, this idea might have felt downright radical in a university art department noted mostly for turning out Dallas’ most accomplished modernist representational painters, artists like David Bates and John Alexander. But SMU’s art department has evolved from a place deeply rooted in traditional notions of craft and aesthetic expression to a school with a growing reputation for work that exits the studio and engages the community. It began about a decade ago. Simblist came to SMU via New York in 2003, and he was followed in 2009 by Michael Corris, the art department chair who preceded Simblist. Corris, who taught in England for about 20 years, is perhaps best known for his association with the conceptual art collective Art & Language. At SMU, Corris, Simblist, and other professors, such as James Sullivan, began to change the art department’s curriculum, eliminating its focus on medium and establishing core classes. Now BFA and MFA candidates at SMU don’t graduate with degrees in painting or sculpture, just a degree in art, and they take common classes organized around themes like spaces, narratives, observations, and systems. Arthur Peña, an SMU visiting lecturer, is an accomplished painter, but he is well known locally as a music promoter. 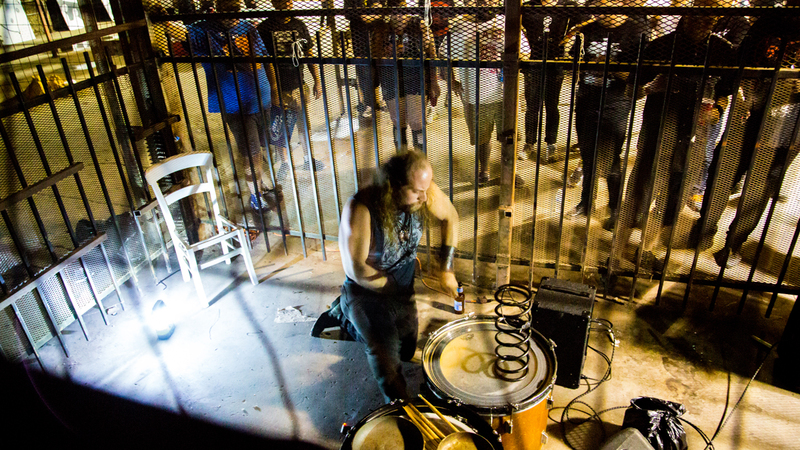 His roving DIY events, called Vice Palace, combine music, performance, and art in raucous West Dallas warehouse parties. Peña has also received a grant from the city of Dallas to launch a cassette-tape label with music by artists who have participated in Vice Palace performances. 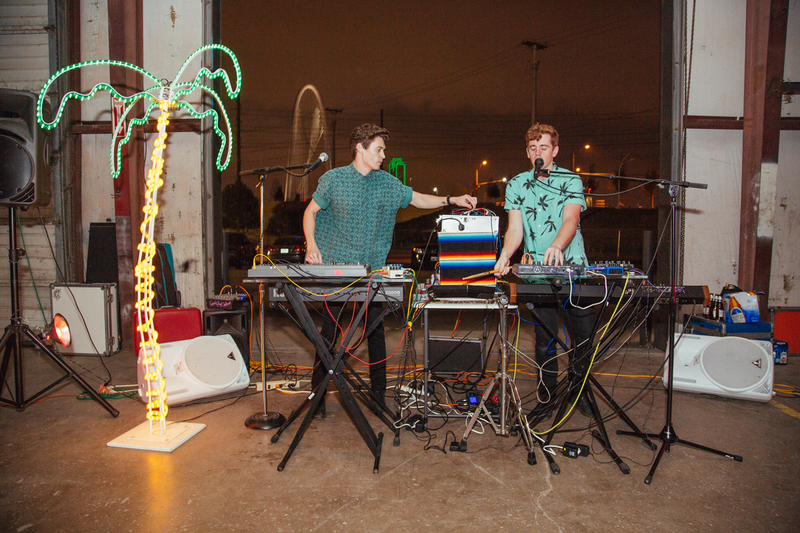 It’s that bridge between studio practice and artist-generated cultural activity that is increasingly defining how SMU’s art department engages Dallas. The timing of the shift coincided with the tenure of José Bowen as dean of the Meadows School of the Arts. Bowen challenged SMU, sometimes called the bubble within the Park Cities bubble, to look outward from its Georgian campus. The Meadows launched the Arts and Urbanism Initiative, now called Ignite Arts Dallas, and replaced its Meadows Award with the Meadows Prize, adding strings to the former cash award given to a distinguished artist. Recipients must come to Dallas and engage students and the community. When the New York-based collective Creative Time came to town, it held months of meetings with local artists and produced a report that outlined strategies for strengthening the city’s art community. After playwright Will Power came to Dallas for a Meadows Prize residency, he stayed, taking a full-time job as playwright-in-residence at the Dallas Theater Center. When Tania Bruguera won the Meadows Prize, she came to collect signatures. That might seem like a small, inconsequential act, but it is indicative of the subtle, insidious way in which a university’s cultural investments infect the broader culture of a city. Over the past year, Michael Corris documented some of these correlations between Dallas’ artistic activity and the various engines that drive that activity in a series of articles that appeared in the journal Art in America. Meanwhile, SMU has tapped three Dallas artists to fill its faculty this fall: Arthur Peña, Michael Morris, and Lauren Woods. The trio, Simblist says, enjoy accomplished studio practices, but they have also produced punk concerts, pop-up avant-garde film screenings, and public art installations that challenge notions of social justice and racial equality. In other words, they are artists who are engaged in a broader definition of cultural production, which cuts directly to SMU’s revamped mission.